"Integratives Risiko Management für resilientere Städte"
Know-how für ein effizienteres Risikomanagement. GRF Davos ist Organisator von zahlreichen international anerkannten Konferenzen. Die Stiftung Global Risk Forum ist eine unabhängige Non-profit Organisation, die angewandte Forschung auf dem Gebiet des integrativen Risikomanagements betreibt. In collaboration with the UNESCO, GRF Davos is organizing a Session on Science & Technology and Policy making for Disaster Risk Reduction and Climate Adaptation – essential linkage for comprehensive and effective policy harmonization. The session focuses on how to bring together science, policy, and practice? One of the key questions for enhancing disaster resilience. The Sendai Framework for Disaster Risk Reduction 2015-2030, adopted by UN General Assembly, indicates unprecedented emphasis onthe role of science and technology in disaster risk reduction. It also calls for a paradigm shift through dedicated action to tackle underlying disaster risk driversincluding gender issues, disabled people, migrants, etc being particularly affectedby disasters. Climate change will aggravate the situation, and harmonizing efforts toimprove disaster resilience and strengthen climate adaptation will become key. This session is to discuss how science and technology can maximize their impact toreducing disaster risks and losses and adapting to climate change in the context of aharmonized policy making process. [Translate to German:] 6th International Disaster and Risk Conference 2016 successfully closed! "Integrative Risk Management - towards resilient cities"
Walter J. Ammann, Chairman and Founder of the International Disaster and Risk Conferences has closed the IDRC Davos 2016 on Wednesday 31 August. The conference had gatherered more than 470 international attendees for its 10 years anniversary in Davos. Participants from various fields, researchers and practitioners, policy and decision makers, representatives from the UN, IGOs, universities, NGOs and the private sector have used the conference offered a platform for an interdisciplinary dialogue and fostered a holistic understanding of risk reduction and disaster management. Reliable scientific facts and technological solutions have been presented. All conference proceedings, presentations, pictures and red chair statements are now available on our website. The interactive conference agenda gives you an overview of the past conference. [Translate to German:] The interactive conference agenda provides an overview of the past conference including abstracts and presentations of the 6 Keynotes, 6 Plenary Sessions including 50 plenary speeches from world's top experts and 200 oral presentations, 55 poster presentations, and 3 workshops. [Translate to German:] Watch the 2016 Red Chair Statements of IDRC Davos Participants. [Translate to German:] Find out more about this year's Keynote and Plenary Speakers. [Translate to German:] We are very pleased to present the 2016 winners of the Poster Award and the Movie Award. 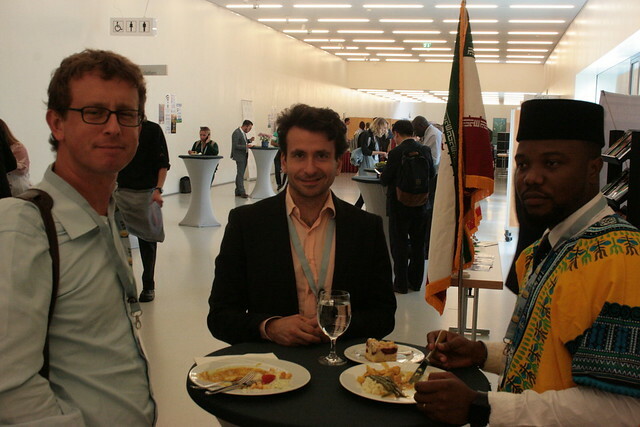 The conference was held form 04-06 October 2015 in Davos, Switzerland. Over 250 researchers, policy makers and practitioners working on issues broadly in the area of public health, veterinary medicine, agriculture, biodiversity, ecosystem services, sustainable development and natural capital, in both developed and developing countries, gathered to find solutions to today's most pressing issues. The conference outcomes are online now. You'll find an interactive conference overview, the short abstracts collection as well as the extended abstracts and poster collection all online now. There are also all pictures and video statements from the Summit availble. [Translate to German:] The official Sendai Framework for Disaster Risk Reduction 2015-2030 publication has been released on 1 Juy 2015. The Sendai Framework for Disaster Risk Reduction 2015-2030 was adopted by UN Member States on 18 March 2015 at the Third UN World Conference on Disaster Risk Reduction in Sendai City, Miyagi Prefecture, Japan. The Sendai Framework is the first major agreement of the post-2015 development agenda, with seven targets and four priorities for action.